Many a time we deal with those strange words and phrases that ask us to type them back in plaintext while signing up for an account. Yes, those increasingly annoying CAPTCHAs ! !, which are both time-consuming and sometimes very difficult to read. If you really are tired of these distorted series of characters then there is a good news for you. For the convenience of people, Google has re-introduced a new CAPTCHA system with full makeover called reCAPTCHA, in order to make it easy for users who squint their eyes and make errors while typing. This new CAPTCHA-like system will allow people into websites with only a single click. CAPTCHA actually stands for "Completely Automated Public Turing test to tell Computers and Humans Apart" which is used by online services and websites only to verify that you're not a robot and restricts various automated programs to sign-up Email accounts, cracking passwords, spam sending, privacy violation etc. However, now we’ll have a one-click solution for telling websites that we are, in fact, a human being. In place of CAPTCHA, now we'll have "No CAPTCHA reCAPTCHA" - just one checkbox that will say "I’m Not a Robot" next to it. The search engine giant recently conducted a test which showed that sophisticated computer programs could fool the typical CAPTCHA 99.8 percent of the time, which means that it's been broken for a long time and most spammers are happy to run their scripts knowing just one in ten will slip through. "While the new reCAPTCHA API may sound simple, there is a high degree of sophistication behind that modest checkbox," reads Google blog post. "CAPTCHAs have long relied on the inability of robots to solve distorted text. However, our research recently showed that today's Artificial Intelligence technology can solve even the most difficult variant of distorted text at 99.8% accuracy. Thus distorted text, on its own, is no longer a dependable test." Users will now be presented with a checkbox that they can click with their mouse or, if they're on a mobile device, tap with a finger. But here’s a Trick! After asking if you’re a bot, the "No CAPTCHA reCAPTCHA" API decides if it’s happy with your answer and if not, then you might be asked to input a CAPTCHA. So, No CAPTCHA is basically asking, and reCAPTCHA is, well, CAPTCHA itself. The system uses image recognition as the method for thwarting bots. You might be met with a picture of a cat, then asked to select similar photos from a grid to verify you’re a human. The images on the grid araren'the same cat, but there are cats and humans understand cats are cats, and “match”. Bots don’t. "No-CAPTCHA reCAPTCHA" is a powerful back-end algorithm, according to Google and the company is encouraging every websites that uses CAPTCHAs to switch to this new CAPTCHA system. The old API will remain active, and many sites may decline to upgrade, but the overall effect will be a great. Already, many online services including Snapchat, WordPress and Humble Bundle have begun deploying the new No CAPTCHA reCAPTCHA to speed up humans through the verification process. Also given Google's reach, the move is likely to be widely adopted by hundreds of thousands of websites over the coming months. 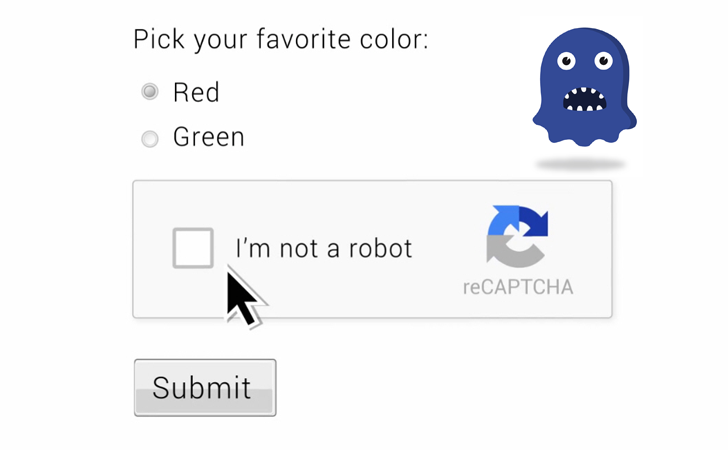 I have written a PHP code example, How to use Google reCAPTCHA within your website.